Americans eat a lot of meat—well over 200 pounds per year of beef, chicken, pork, and turkey—and the numbers are growing. Once reserved for luxury, meat is now an expectation at nearly every meal. Meat is commonplace today because it’s cheap, and it’s cheap because cows, chickens, hogs, and turkey are raised in concentrated animal feed operations (CAFOs) while digesting taxpayer-subsidized corn feed. 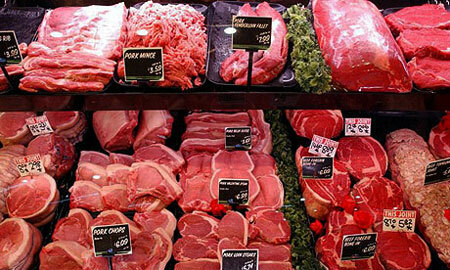 Global demand for meat is on the rise at the same time transportation costs have spiked. Every day, more people on this planet are asking for bacon (or something else) with their breakfast whilst simultaneously becoming more costly to ship it to their late. 70% of the world’s agricultural land is already used for livestock, and creating more room means cutting down rain forests. Demand will be up, supply may not be, meaning that meat will become scarce. What’s a patriotic, god-fearing carnivore to do? One researcher suggests that we start getting used the idea of eating insects. Marcel Dicke is an agricultural entomologist who believes that the answer is simple: bugs. 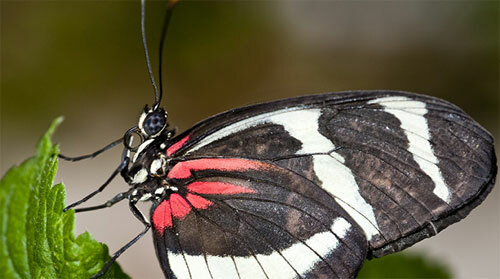 80 percent of the creatures on Earth are insects, and there are 200 kilos of insect biomass per person on the planet. Speaking at TEDGlobal 2010, Dicke outlined a future where humanity’s consumption of mammals is replaced with Entomophagy — the consumption of insects. He gave several reasons why this would be a good idea. Firstly, growing insects for food is extremely efficient, compared to more traditional meat sources. 10 kilograms of feed will generate just 1kg of beef, 3kg of pork, and 5kg of chicken. It generates 9kg of locusts. As well as efficiency, that also means less waste to deal with — manure isn’t generated in anywhere near as great a quantity, and the waste that does result from the process is lower in ammonia and greenhouse gas emissions than equivalent manure from mammals. Then could also health benefits, Dicke suggests. Insects are rich in all the proteins, fats, and vitamins that are crucial to our diet. One hundred grams of giant silkworm moth larvae provide 100 percent of the daily requirements for copper, zinc, iron, thiamin, and riboflavin. Crickets are high in calcium, and termites are rich in iron. With six million species to choose from, picking a diet is easy. While giant silkworm moth larvae does not sound appetizing, it’s just a matter of perspective. Over 1000 types of insects are already eaten for nutritional gain in developing nations. The United Nations has even said that insects are an essential component of meeting food demands for the planet’s growing population. All signs are beginning to point to a buggy future for citizens of wealthy nations. Or maybe, you know, we could just eat less meat.